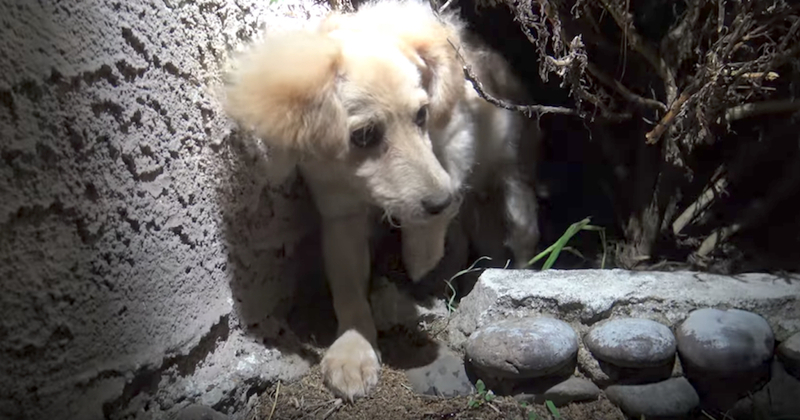 Hope For Paws was contacted in the middle of the night to rescue a dog found in the bushes. The stray was scared and wouldn’t let anyone near, so they set up a barricade. The rescuers proceeded to use bits of cheeseburger to lure him out. The beautiful little pup was scanned for a microchip, and they were able to contact his owner. But the owner said she was given the dog as a gift she never really wanted in the first place and refused to take him back. Thanks to Hope For Paws and Pal Rescue, Fox was spared from life on the streets and placed in good hands before going on to get his loving forever home. 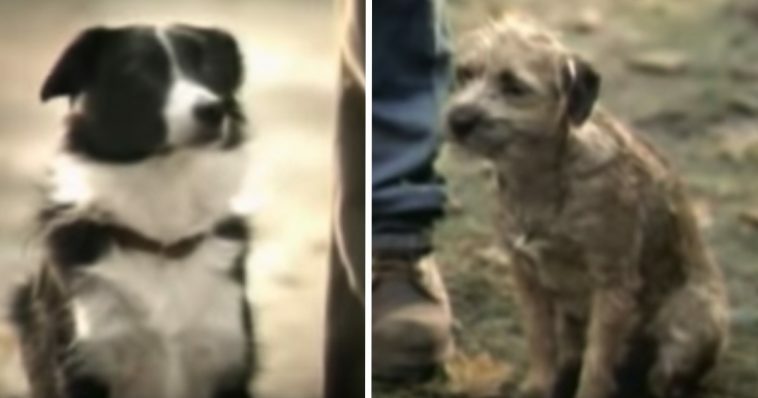 Budweiser has a history of making amazing commercials full of dogs and Clydesdales to be played during Super Bowls. And in the classic one here, they struck comedic gold! 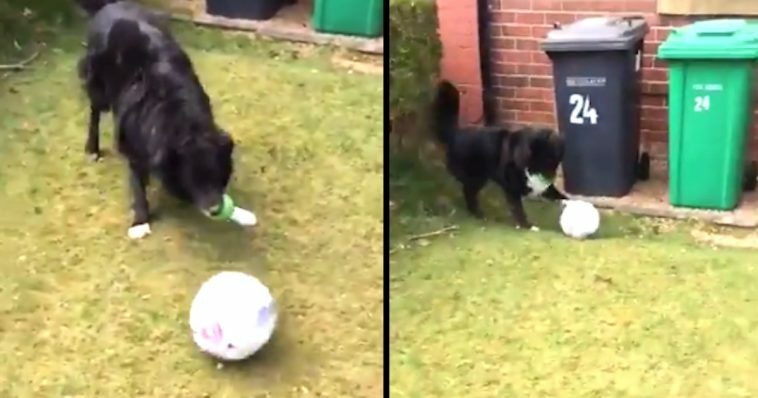 When the two men and their dogs meet, the one shows off the fact that Piper the purebred Border Collie can fetch him a cold beer on command. “What can your dog do?” Piper’s dad asks the other man. “Fergus, Bud Light!” the man calls out to his mutt. And let’s just say that this little pooch has an extremely creative way of fetching his dad a beer! 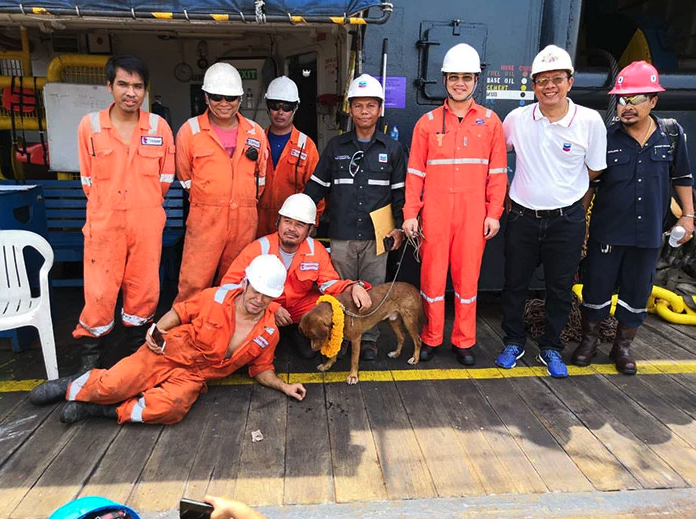 Oil rig workers in Thailand were taken back when they saw what looked like a puppy’s head in the water swimming toward them. At 130 miles away from shore, could it really be? One of the workers, Vitisak Payalaw, took out his camera and captured it all in complete shock. It was indeed a puppy who had either fallen from a fishing boat or jumped from a vessel where he was abused, they figured. They tied a rope around the dog and brought him aboard before the waves got too big. How he survived, no one could be certain. But he was completely exhausted and very thirsty. 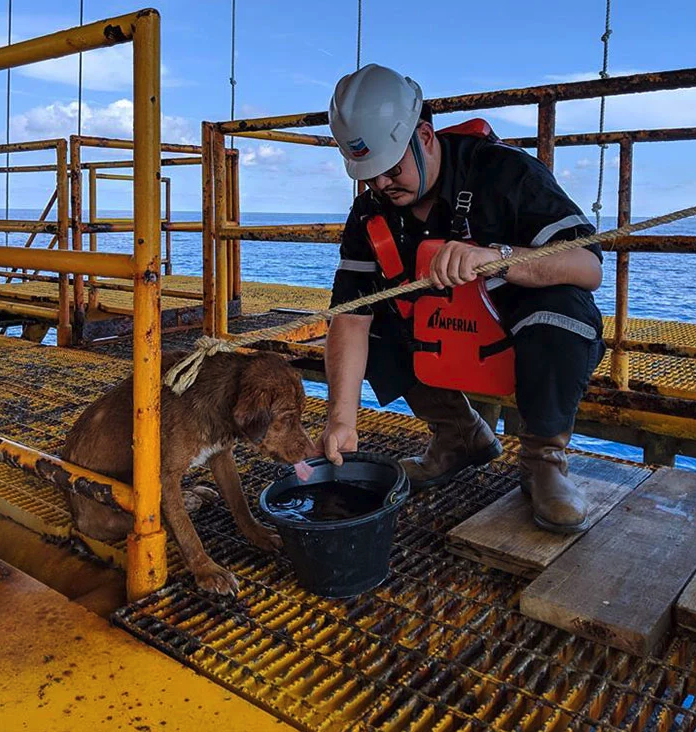 The oil rig workers made the pup feel at home and gave him everything he needed. 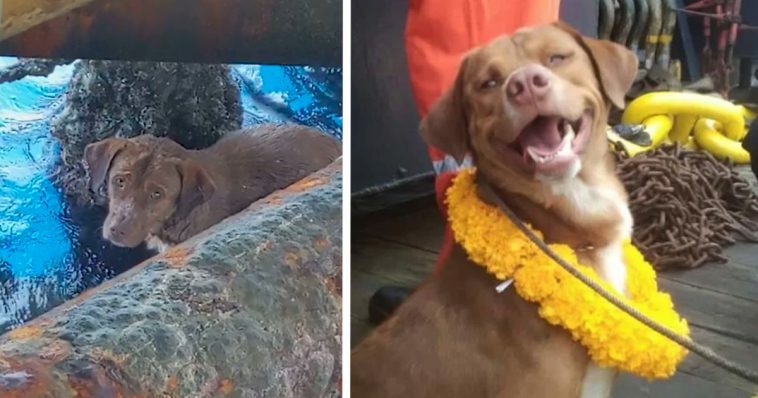 He stayed on the drilling platform for two days while they built a special cage to transport him to some vets in Songkhla for a checkup. 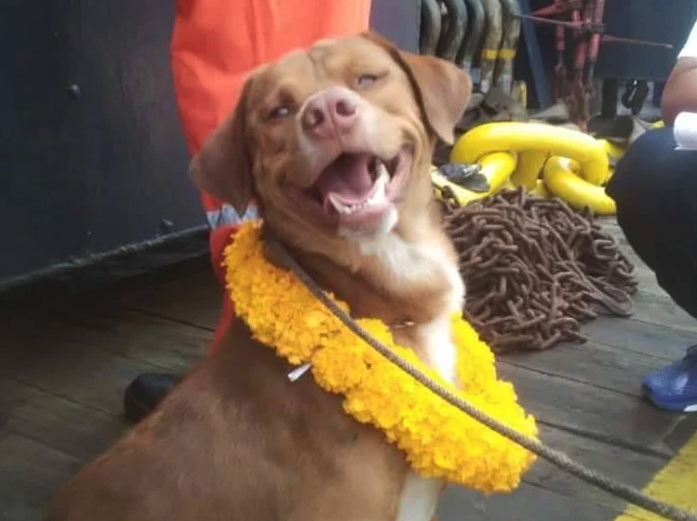 They named the dog Boonrod which means “making a spiritual donation for good luck in the future” in Thai. What a crazy story all around! But Boonrod is safe and happy and well on his way to a normal life. If there’s anything humans and animals could possibly agree on and relate to, it’s the fact that family is everything. 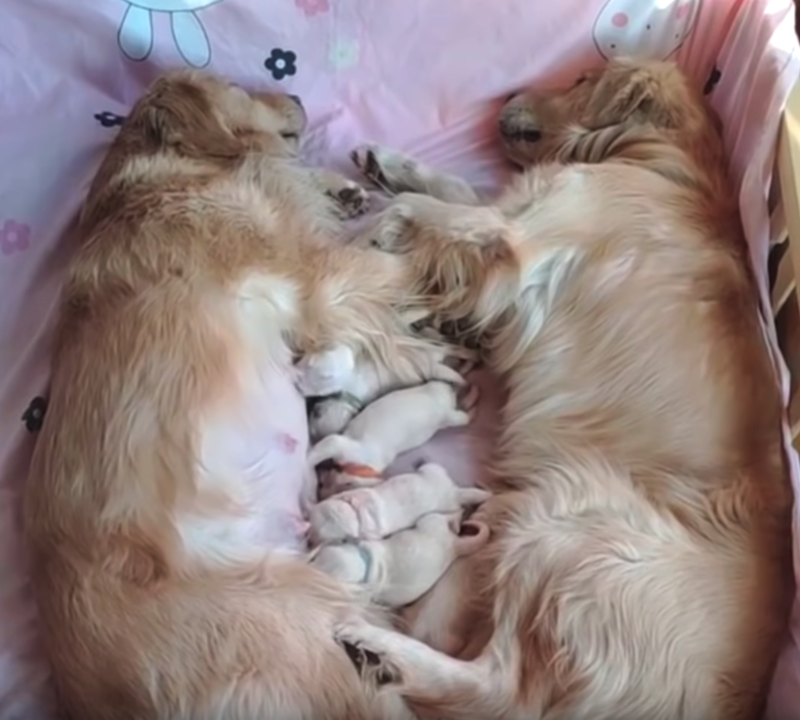 Paternal instincts and guardianship are embedded in nearly every species, and it’s especially adorable to witness in dogs. 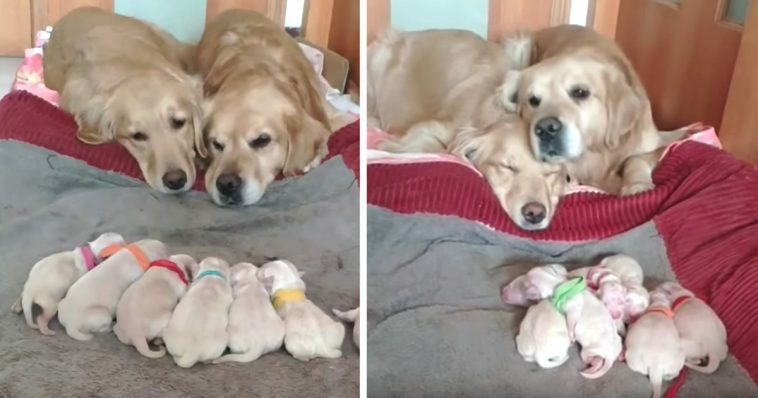 In the video below, we have some Golden Retriever parents who are just so proud and overjoyed at the family they created. 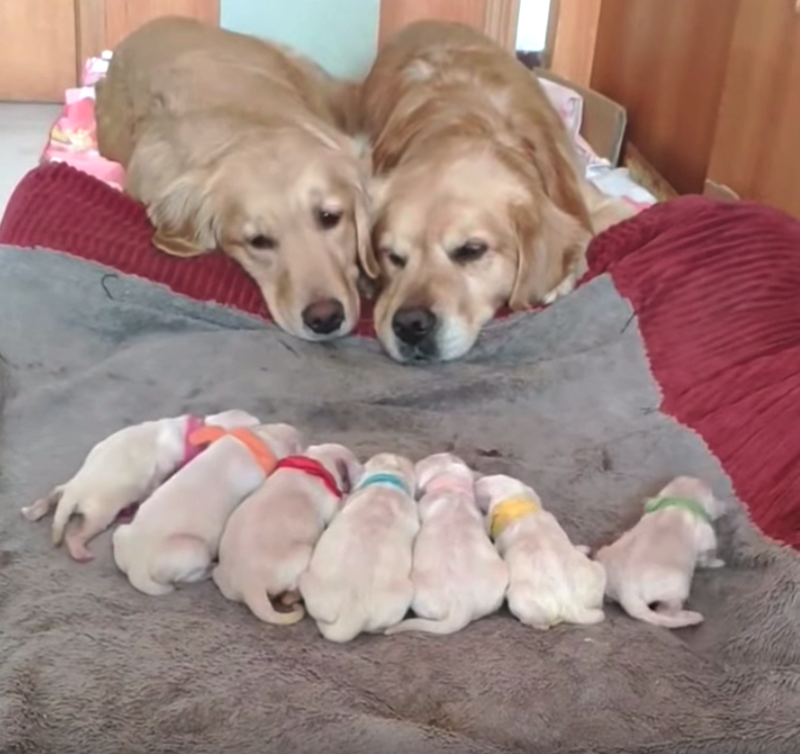 There’s almost a sense of relief in how relaxed they are while watching over the newborn puppies as if some of the hard work is out of the way for the time being. 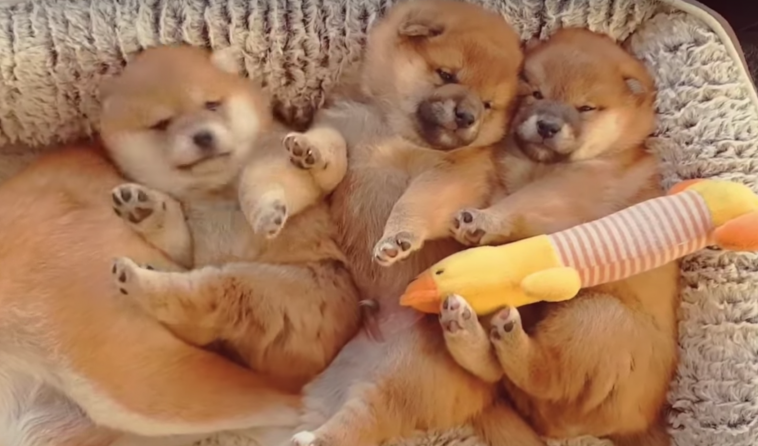 We recently discovered the most adorable Shiba Inu family on YouTube, and it’s melting us to pieces. Mom, dad, and their pups are featured every day doing something adorable with ‘hooman’ captions that make it hilariously entertaining. Be sure to check them out on YT if you haven’t. It’s the best! Whether it’s a dog, human, or any other creature roaming the Earth, sometimes all that’s needed is a chance. A chance to shine, a chance to thrive… and sometimes a chance to SURVIVE. 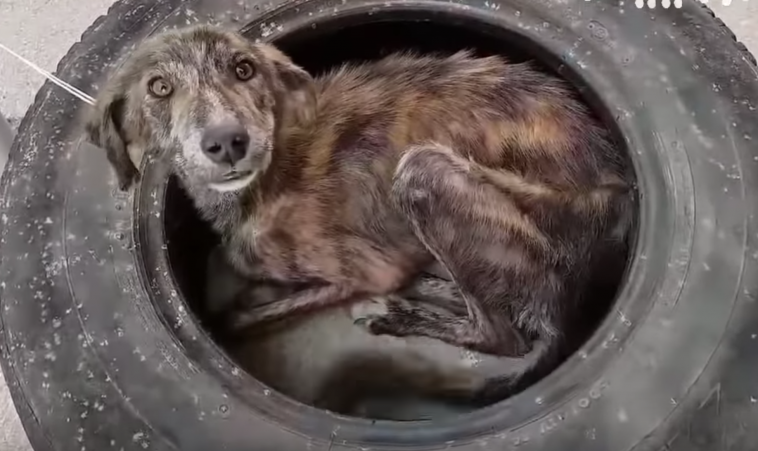 That’s exactly what happened when Figo here was found, terrified inside of a tire, not much left of him beyond just bones. 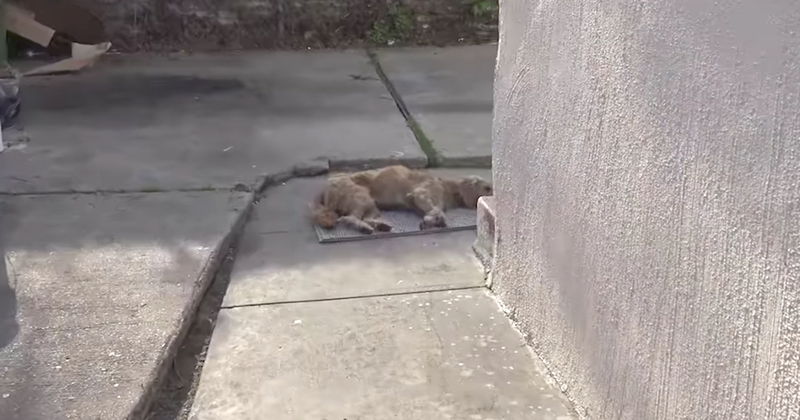 When Takis shelter intervened, he knew it was not going to be an easy task. By the end of this video, you’ll see just how Figo’s chance to survive led to his unique beauty truly showing. What an absolutely beautiful pup! These transformations will always be so inspiring to see. Hope For Paws received word of a stray dog who wandered into a stranger’s yard and collapsed. They rushed to the location to find out what was wrong. The dog was responsive but clearly in distress. Help Hope For Paws save more dogs like Milo by making any small donation or simply by sharing the video. The video below was put together by surveillance footage at a home where the dogs were playing outside with Dad. The dogs continued to wander around as Mom got into the car and put it in reverse. She didn’t see the Chihuahua puppy behind her, but thankfully the Border Collie did. 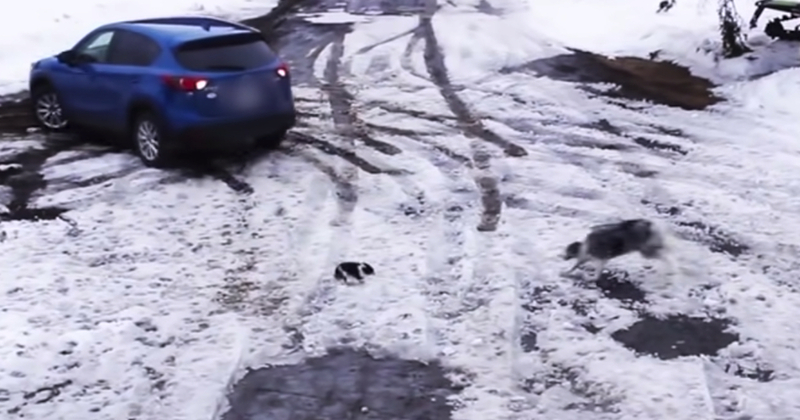 The quick thinking and acting of the Border Collie saved the puppy’s life. The dog came running when he noticed what was about to happen and nabbed the puppy and ran off to safety. Mom saw something in the rearview mirror and came back to make sure everyone was okay. They will surely be a bit more careful in the future in order to avoid another close call like this. But thanks to the Border Collie’s awareness and forward thinking, the pup is alive today. What a hero! The video was posted to Twitter by the postman’s daughter, Amy Barbour. 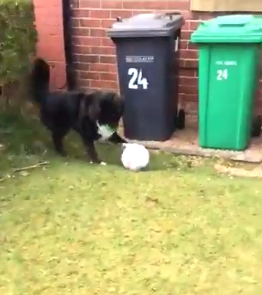 “So this dug doesn’t let ma dad deliver the mail until he’s played football with him, he finally took a video and a canny believe my eyes, the dugs incredible!!! !” she said. 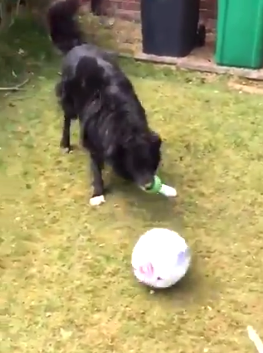 You can see as the dog kicks the ball back and forth with the mailman as he holds onto a smaller ball in his mouth. A 58-year-old Vietnam veteran named James Pack was sent to the hospital after suffering a heart attack. 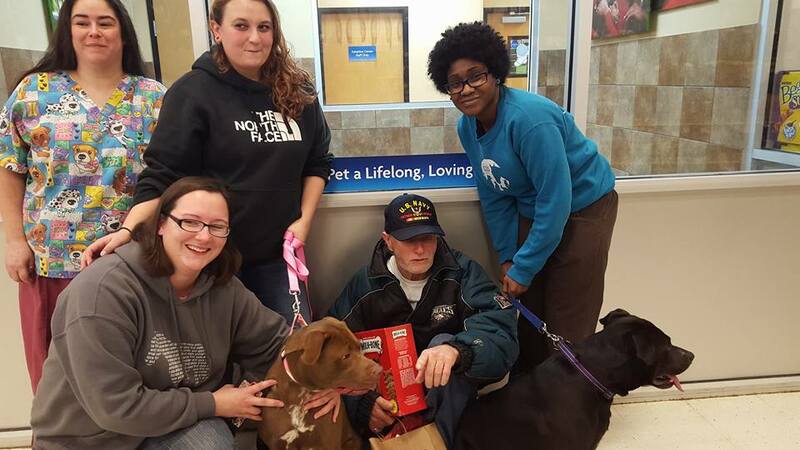 His dogs, Bailey and Blaze, were placed under the care of First State Animal Center and SPCA until his few-week stay at the hospital ended. But he ended up having to stay for a couple months, so the shelter decided to put the dogs up for adoption. When James was finally released from the hospital, he was devastated to learn that he lost his dogs. 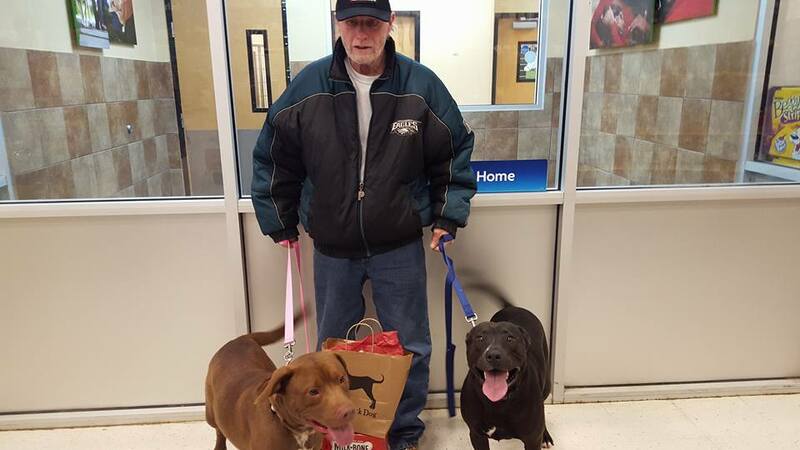 But it turned out the dogs hadn’t been adopted yet, so the man desperately tried gathering the adoption fees and looked into selling his car. But then he received a call from PetSmart. 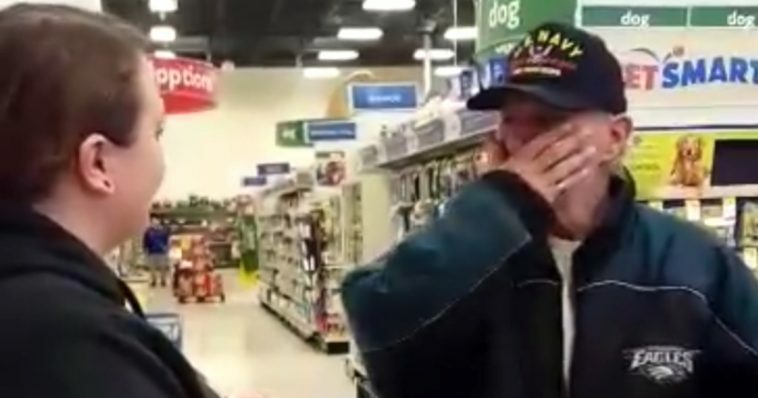 He finds out the adoption fees have been covered for him, and it puts him in tears. Bailey and Blaze are brought out to him, and they’re back where they rightfully belong. As animal lovers, I think you will agree with us that almost nothing angers you as much as someone abandoning animals they don’t want. This human arrogance and disregard for other creatures is truly disgusting. But – thankfully, there are people like this who are ready to go when they’re needed. 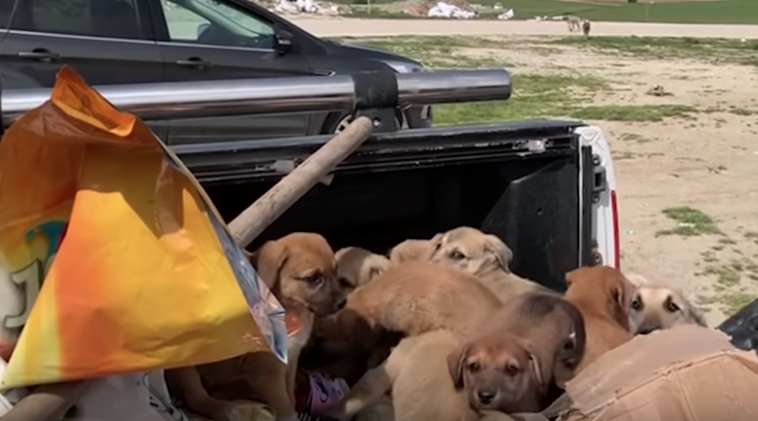 They received a phone call about these puppies being abandoned and did the only thing they knew to do… head to the location! Watch as they bring them into their shelter. Thanks to some GOOD humans, the evil side of humanity didn’t win on this day. 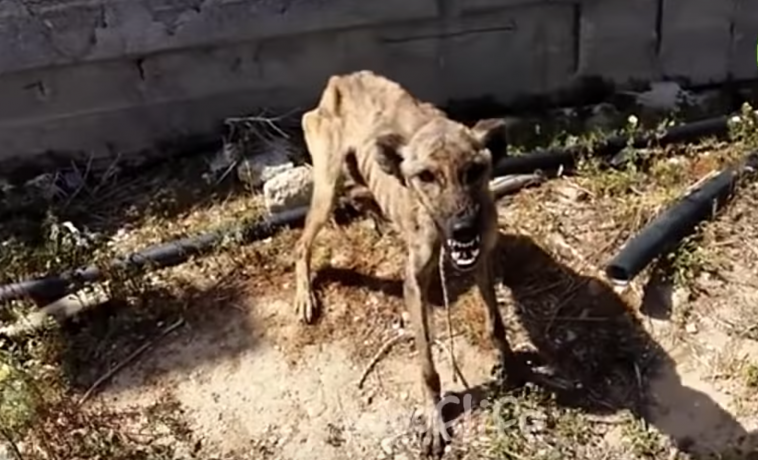 An incredible rescue organization in Greece called Takis Shelter recently found a dog so terrified and so skinny that it’s almost hard to look. Lena (as they ultimately called her) was on her last breaths as you can see, scared and defensive… but she learned to trust. And that allowed for a transformation you must see to believe. Thank you to Takis Shelter for giving Lena a chance. There are so many others like her in need, so please consider donating.